Hire a cycle and ride along the picturesque streets of a UNESCO World Heritage town, taking in temples, cafes and artisan stores. Or why not charter one of the hotel boats for a sunset cruise down the Mekong River a truly special and romantic experience. Not to be missed; Kuang Si waterfalls and Pak Ou caves both reached on the hotel's boats; Nomad or Monsoon. 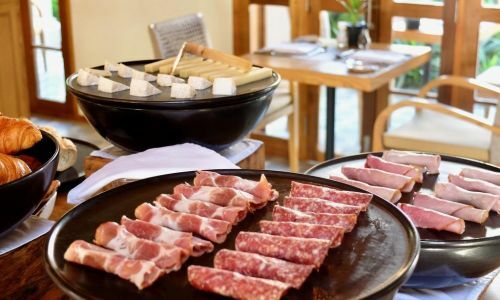 Facilities include East-meets-West favourites, French bistro fare and authentic Lao dishes. 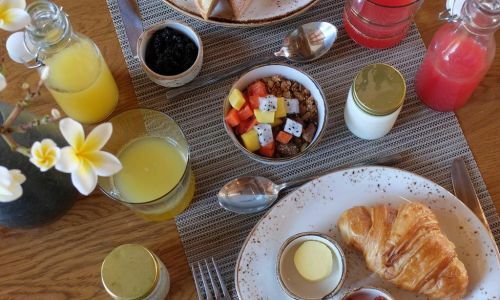 Sip fresh coffee, refreshing juices and locally inspired cocktails overlooking the pool or bustling street. 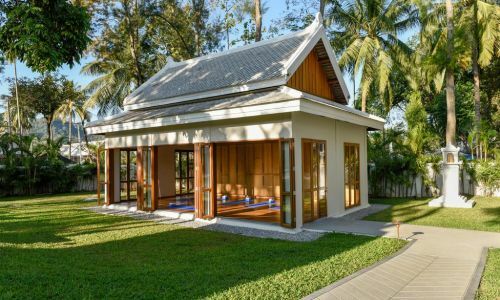 After a day exploring the local temples, treat yourself and your partner to a soothing Lao massage in the AVANISPA. 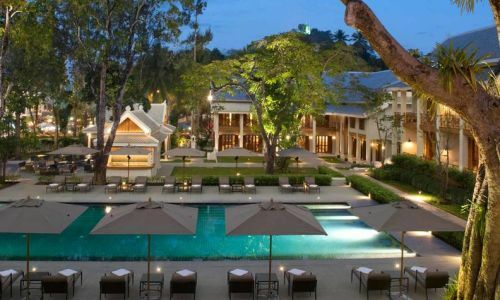 Luang Prabang International Airport is just 5 kms from the hotel. All infants under 3 years stay free of charge when using children's cots/cribs on request subject to availability. 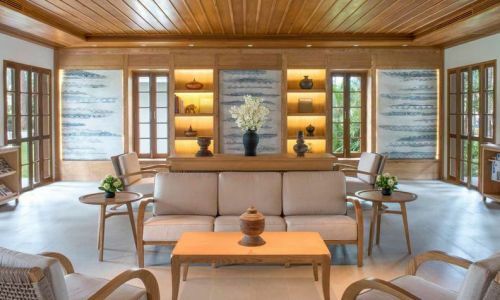 With just 53 rooms in buildings no higher than two storeys and open plan rooms that ease you into a sense of calm with teak flooring, local style fabrics and sleek design. 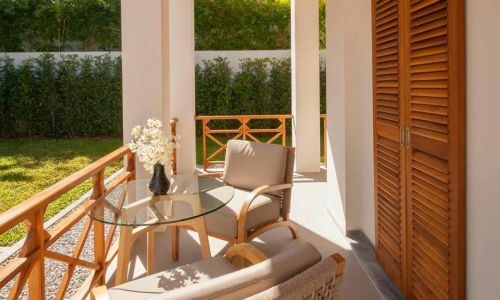 French louvered doors open onto your private balcony or terrace with verdant green or pool-blue views. 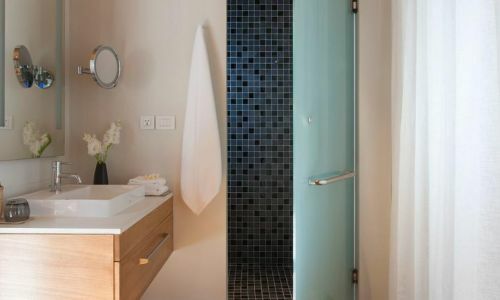 Enjoy the comforts of home and more, with a blissful rain shower, coffee machine and wall-mounted flat screen TV. 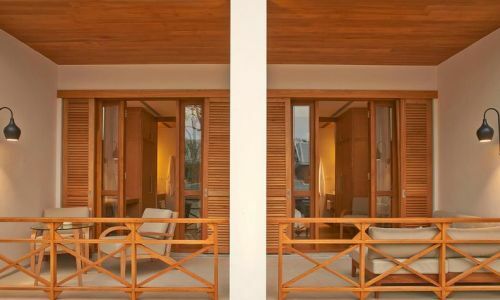 Avani deluxe rooms: 35sq mtrs of open plan room and located on the ground and upper floors, these rooms feature private terraces or balconies with space to lounge on an oversized daybed or sit at a table and chairs. 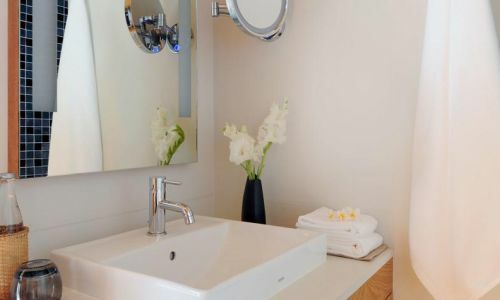 King or twin beds, Rain shower and twin vanities; Coffee machine and minibar; Wall-mounted flat screen TV with international channels; Complimentary Wi-Fi. 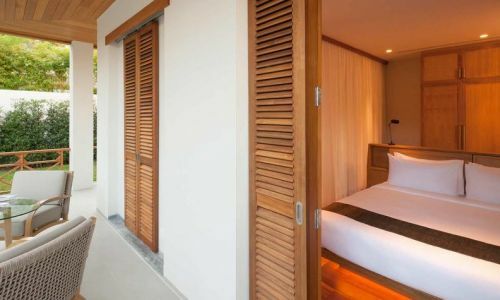 Select King or Twin beds - Suitable for 2 guests max. 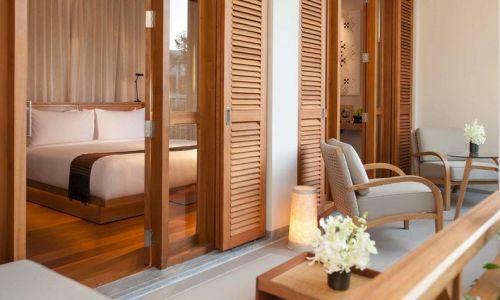 Avani deluxe pool view rooms: 35sq mtrs courtyard rooms highlight the resort’s classic contemporary architecture, with facades dramatically lit in the evenings. 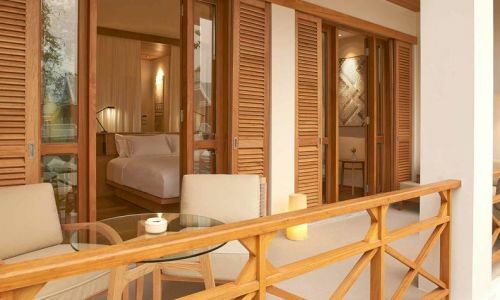 Each room offers soothing views of the towering banyan tree and the pool. 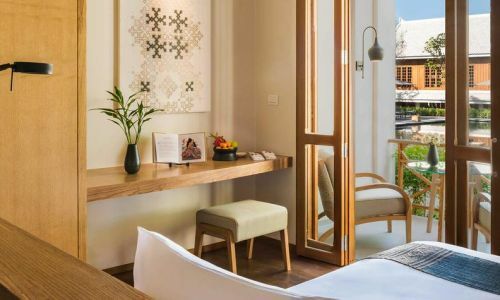 Gaze onto Mount Phousi and its golden stupa from the upper floor balconies. 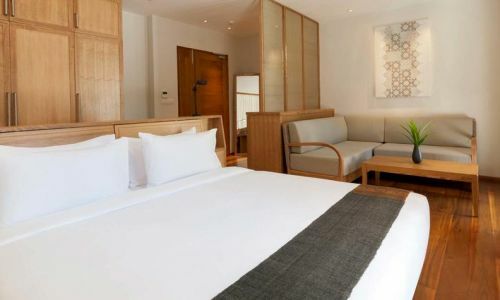 Select King or Twin beds - Suitable for 2 guests max. 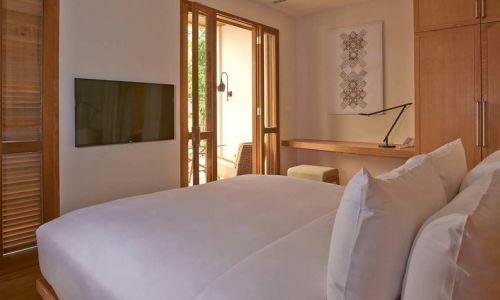 Avani Suite: Large suites ranging from 58-85sqm and suitable for up to 3 adults or 2 adults and 1 child. 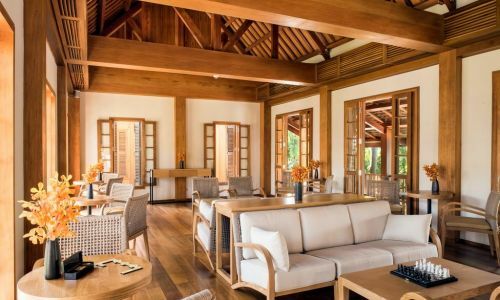 Plenty of space in these open plan designed suites for lounging or families. 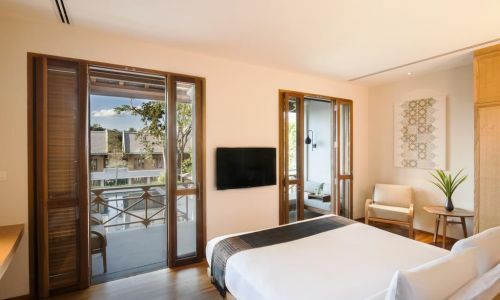 Spacious corner balcony or terrace with daybed, table and chairs; Indoor daybed; King or twin beds; Rain shower and twin vanities; Coffee machine and minibar; Wall-mounted flat screen TV with international channels; Complimentary Wi-Fi. 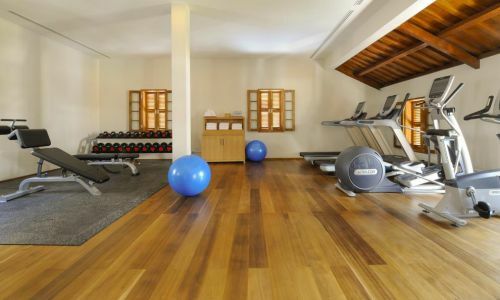 AVANI GYM: Keep up your training regimen with an array of cardio machines from treadmills to elliptical machines. Strength conditioning with weight stations and free weights available. Perfect your asanas on a quiet lawn or in a peaceful yoga pavilion. Swim laps in the 25m courtyard pool and refresh with healthy fruit shakes. 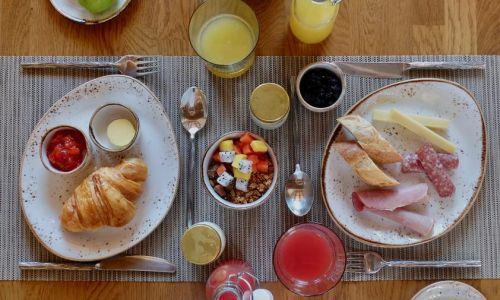 Bistro: Open for breakfast, lunch and dinner. 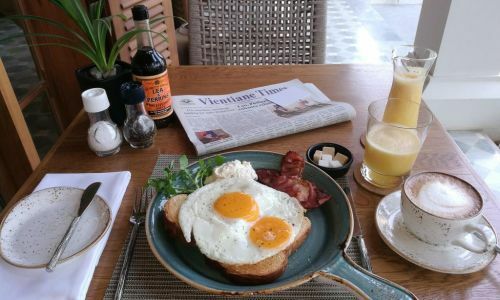 Drawing on French and Lao cuisine, enjoy a leisurely breakfast of continental buffet selections, warm pastries and freshly brewed coffee out on the terrace overlooking the street. 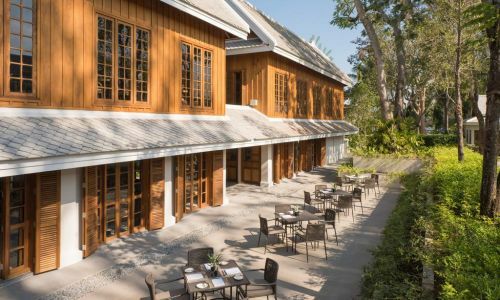 Lunch favourites include the grilled buffalo burger and spicy Lao dishes. 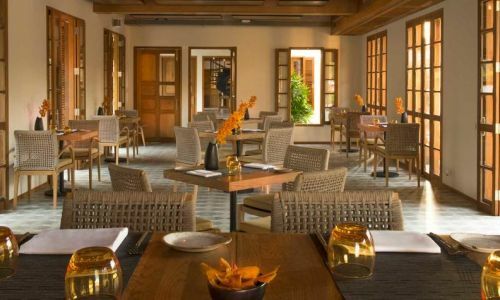 In the evenings, take in the bustle of the night market over modern French fare and an extensive wine list. Bistro Bar: Open from 12noon - midnight. The upper floor bar offers a wrap-around verandah from which to watch the world go by via the street life below. 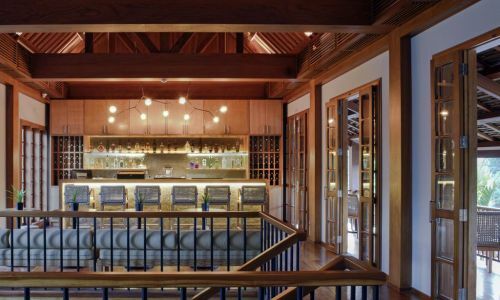 Enjoy a refreshing afternoon cocktail infused with traditional Lao spirits. After a day's sightseeing; watch the night market come to life with a sundowner or aperitif. Kuang Si Waterfalls: Board Monsoon or Nomad and head downstream to the village of Ban Muang Khai, where a driver will be waiting to take you to the remaining 5 km to Kuang Si Waterfalls. These many-tiered waterfalls are one of Laos’ most impressive attractions and the azure blue pools are a perfect location for swimming and picnicking. Pak Ou Caves: Cruise upstream to the remote island temple shrine of Wat Done Khoun Nelemith, 16 km from Luang Prabang. Continue north to the famous Pak Ou Caves. These ancient shrines are filled with thousands of Buddha images. Refreshments on board during the return trip. 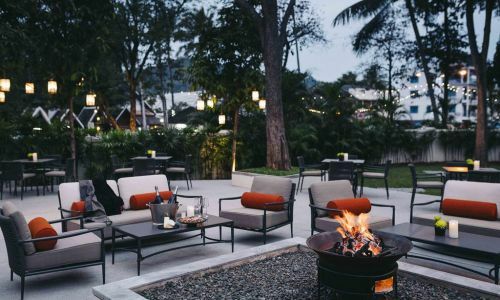 Sunset Cruise: Cruise gently down the Mekong River aboard Monsoon or Nomad and enjoy the spectacular backdrop of Luang Prabang with its mysterious forest whilst you watch the sun set in between the lush mountain ranges. Gourmet canapés and drinks will be served on the way back to Luang Prabang. AVANISPA: Open 9.00 - 21.00 where you can retreat for rejuvenation and your own glimpse of nirvana. 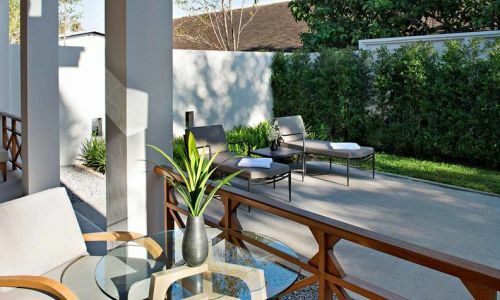 Treat yourself to soothing Lao massages perfected by the Spa's traditionally trained therapists. Double the relaxation by indulging in a couple’s journey in a private treatment suite.